An intense cleaner for all your foam and lambswool pads in a convenient spray bottle. Polishes, swirl removers, and compounds all contain oils that serve as lubricants. They have to – otherwise you’d be polishing with a dry pad! If there’s one thing we know about oils it’s that they’re, well, oily. They leave a residue. 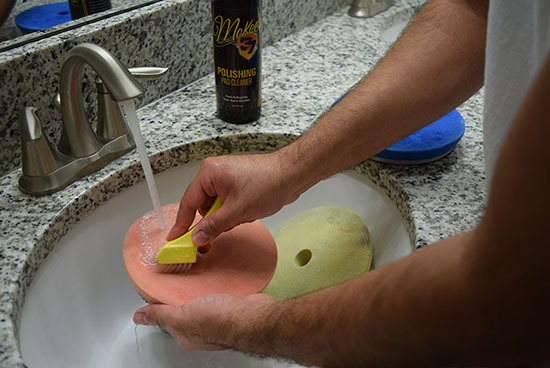 Even if you rinse the pad immediately after using it, the oily residue remains because oil repels water and vice versa. To truly clean the pad, you have to use a degreasing cleaner. Think of the inside of a foam pad as a series of interlocking rooms. McKee's 37 Polishing Pad Cleaner powers through these chambers in a way the water or soapy water can’t accomplish. When it encounters a roadblock, it breaks through, flooding the foam with oil-dissolving cleaner. When you rinse the pad, the cleaner is flushed out of the pores, leaving the pad clean, fresh and rejuvenated. 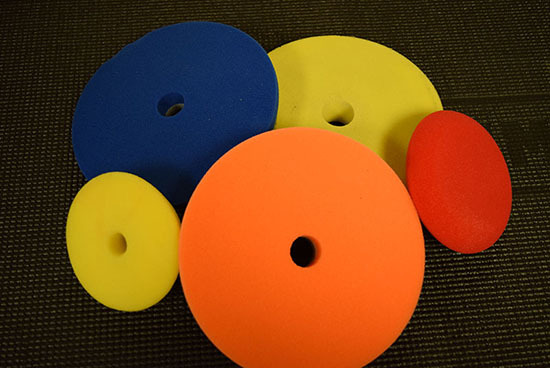 Wool pads are a unique cleaning challenge, but McKee's 37 Polishing Pad Cleaner can handle it. Polishes can stick the wool’s fibers together like glue. McKee's 37 Pad Cleaner eradicates the oily bond holding the fibers together so the wool bounces back to life once dry. Pinnacle is dedicated to preserving your vehicle and the environment. McKee's 37 Polishing Pad Cleaner is VOC compliant under the guidelines for an all purpose cleaner. McKee's 37 Polishing Pad Cleaner is ready to use in a convenient spray bottle. Each time you change pads as you polish, mist the used pad thoroughly with McKee's 37 Polishing Pad Cleaner and set the pad aside. The cleaner will prevent products from drying out and caking in the pad as you work on your vehicle. Once you’re done detailing, scrub the pre-soaked pads with a foam conditioning brush. Rinse them in running water to completely remove residues. For the best results, clean the pads right away. 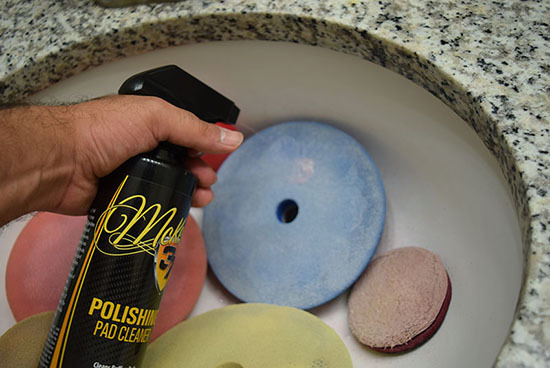 McKee's 37 Polishing Pad Cleaner can even breathe new life into old pads. Dried, caked products are no match for the intense cleaner. Spray the pad thoroughly and let it soak in for several seconds. Use a Foam Pad Conditioning Brush to agitate the pad. Rinse well. Repeat this process if necessary. McKee's 37 Polishing Pad Cleaner brings foam and lambswool pads back to life with penetrating cleaning agents and degreasers. This is the only cleaner you need to unlock stubborn residues and rejuvenate the pad texture. Spray it on and the polish is gone! McKee's 37 Polishing Pad Cleaner 5 A perfect cleaner for the home detailer! If I operated a detailing shop with more volume, I would no doubt purchase the bucket style power washer. Polishing Pad Cleaner 5 This cleaner restores my pads to like new condition, It does not leave a residue or dry out my pads.